Home > Google News > Google AdSense > Google AdSense Fraud Leak Seems Fake, Publishers Doubt It & Matt Cutts Calls B.S. 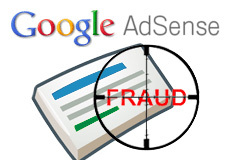 Google AdSense Fraud Leak Seems Fake, Publishers Doubt It & Matt Cutts Calls B.S. Last night, some anonymous person claiming to have worked in the Google AdSense department for "several years" posted a story named "Google AdSense Leak." In where he describes the fraud he firsthand witnessed at Google regarding defrauding publishers from earned income. You can read the whole story over here but if it is pulled off, here is a copy. The details are very long but as I read it, it seemed to me, that it was written by a publisher and not a former Googler. I immediately emailed the team at Search Engine Land and said that it "seems way out there." As I dug deeper, it seemed more and more to me that a disgruntled AdSense publisher wrote it. Of course, in the back of my mind I felt it could be true. Scanning the forum threads at DigitalPoint, WebmasterWorld and Hacker News, it seems most people don't believe it as well. One senior member at WebmasterWorld said, "I don't believe it," and then went on to explain why. The forum moderator there also said "this makes no sense" and goes on to explain why. @Urgo @kittiesmamayt if they were really an employee, it's not hard to give some proof. And the whole "AQ3C" thing? Complete BS. I did the same thing, I immediately Googled and Binged the term [aq3c] and nothing came up. To keep that a secret for so long is almost impossible. Everything about this post strikes me as a conspiracy-laden fake, from the typos to wrong terminology to untrue policies to the lack of specific names of people. I passed this pastebin to the ads side to confirm for sure, but I would treat this as completely untrue. Added: Yup, I'm hearing back from multiple people on the ads side that this is pretty much untrue from start to finish. Also notice that the "rmujica" account that submitted this item has never submitted any other story or written any other comment on Hacker News before today. hosay123, I've worked with the people this post talks about since 2005. Even though I'm the head of the webspam team, I'm familiar with how AdSense deals with fraud. For example, I often see disgruntled publishers complaining on the web, and from time to time I've followed up on specific blog posts to get the other side of the story. In addition, the group that manually fights webspam at Google is a sibling organization to the group that fights adspam. Finally, I passed these claims directly to the ads side and so far I've gotten three (now four) different "this is fake" responses from people I trust and have worked with in different capacities for years, including an engineer that I worked with in search quality who later went to work in ads. Google has given statements that this is indeed false. Now, I know a lot of you will call me a Google supporter and such. Yes, there were mass Google bans, more than I can link to here. Yes lawsuits around AdSense publishers as well, that is all known. His last point, I cannot verify. Again, my gut says this is a disgruntled publisher posting his conspiracy theory. Forum discussion at DigitalPoint, WebmasterWorld and Hacker News.